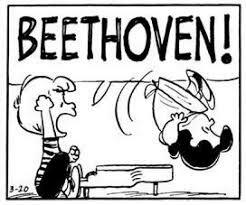 In its new season – due to be announced in the next couple of hours – we hear the New York Philharmonic has cut back Beethoven content to just three symphonies. Given that Carnegie are doing two full cycles and visiting orch will trundle in some more, this looks like a shrewd bit of Beethoven avoidance for the duration of the 250th anniversary. He certainly can use all the help he can get. Probably this is Van Zweden’s idea, who is – by the way – a brilliant B performer. Or is he afraid of the competition, the head-to-head comparison with Séguin? Given the international demand for JvZw it is very unlikely that he would have any reason to fear any ‘competition’. Honestly, can we cut the “competition” talk? In Montreal, there is Nagano and Nézet-Séguin. Both program overlapping repertoires, without trouble. Nézet-Séguin’s opening concert at the new hall was Wagner with Bryn Terfel; Nagano’s last one at the Wilfrid-Pelletier was Das Rheingold. Both have programmed extensively Bruckner, Berlioz, Ravel, Debussy, Beethoven, Mahler, etc. Did Rattle in Berlin make sure to avoid Barenboim’s repertoire and vice-versa? I think not. Do the NY Phil and Carnegie Hall coordinate. I guess they must.